I suppose I'm a bit of a heretic. I seldom accept things at face value just because that's "the way we've always done it" or just because an "expert" says it should be done that way. Or, my favorite, which always starts with, "everybody knows..." I always ask myself why. Why should it be done that way. I've seen these three "reasons" be wrong so many times in my life that I am continually skeptical. You've probably seen the results of my skepticism many times in this blog. It shows up in such topics as nutrition, hydration, periodization, training methods, and lots more. This doesn't mean that everything we've "always done" or that experts have told us to do are always wrong. Not at all. I have often found that there's merit to much of what I’ve questioned. That's a good thing. It means that I can accept the idea and use it with some degree of certainty. I've sought answers over the years to those things I've questioned by experimenting - first with myself and then with clients. 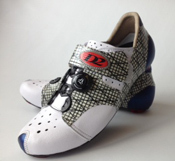 A good example of this is midsole cleats for cycling. This idea was suggested to me in 2005. I thought at first that it sounded ridiculous. After all "we've always" put the cleat under the ball of the foot. “Everybody knows” that's how it should be placed. “Experts” even tell us that. So, with all of this in mind, I set out to prove the midsole cleat position was wrong. I discovered just the opposite: it worked well for me—I climbed and time trialed better and rode more efficiently. So I then tried it with willing clients I coached. For many it also worked better. But not all of them improved as I and others had done. That's not unusual. In my Training Bible books I write about the principle of individualization in sport. The effect of midsole cleats is but one small example of this principle at work. Besides experimenting I also like to read research to find answers to my questions. The more research I can find on a topic, such as cleat position, the better. The research doesn't always agree. That's ok. It still gives me more information about the topic at hand. For more than 30 years I've started almost every day by reading a research abstract. I keep a stack of them at my desk. If the abstract interests me I seek out the whole study to get a deeper understanding. You can read abstracts for yourself by going to PubMed. Should you be a geek like me you can search out the abstracts for topics that interest you. I suspect there are only a few who would want to do that. But before you assume somebody is wrong because "that's the way it's always been done," or "experts" say we should, or "everybody knows" be sure to do an in-depth review of the research. And try it yourself. You may find, as I have many times, that the alternative method works for you. Or not. That's good. Now you know. A little skepticism is a good thing. Because of this way of seeing the world I have great respect for others who question what I say. They help to make me a better coach and person. A hard workout only creates the potential for fitness. It’s realized when you recover afterwards. When you take it easy after a hard workout the body’s adaptive process kicks in and you become more fit. During recovery the body restores itself by rebuilding damaged cells, creating new neural pathways, expanding capillary beds, rebalancing its chemistry, developing muscles, and much more. During this physiological renovation it makes all of the body’s systems affected by the workout slightly better able handle the stress that produced the need for rest in the first place. This is called overcompensation. The overcompensation process is at the heart of adaptation and therefore race performance. The ultimate result is that the three determiners of your endurance fitness—aerobic capacity, anaerobic/lactate threshold, and economy—improve slightly. The amount of improvement is determined by the type of workout stress applied and how long the recovery lasted. Recovery and adaptation are essentially the same thing. This adaptive process takes some time and can’t hurried. How much time you need to reduce fatigue and gain fitness depends on how great the preceding workout stress was. If it was only slightly more difficult than what your body was already adapted to then you will probably be ready for another stressful workout again in around 48 hours. A workout that was a great deal harder than your current level of adaptation was capable of handling requires a longer period of recovery. Following a hard workout you experience fatigue. That is how nature tries to keep you from doing back-to-back hammer sessions that would tear the body down so much it could no longer adapt. An exceptionally high level of fatigue, indicating a very stressful workout, is risky. Combine this with too little recovery time and you’re on the way to overtraining. But the other side of the training coin isn’t much better. Only doing easy workouts day after day or taking several days off results in a loss of fitness. This is the opposite of overcompensation. The key to effective training is to strike a balance between these two determiners of high-performance—stress and recovery—so that fatigue is created and then reduced. So there is no improvement in fitness without at least some fatigue. How much fatigue is necessary for this? Unfortunately, that’s hard to nail down because fatigue isn’t as easily measured as fitness, at least not yet. Precise tests, such as those used in measuring VO2max or anaerobic threshold, don’t exist for fatigue. That makes recovery an art more than a science. While there are some ways of determining it, fatigue requires a lot of guesswork in order to come up with the proper recovery dose for the given stress load that produced it. This means recovery from fatigue is mostly based on self-perception and sensations. But we’re slowly getting better at measuring it. Sport science generally comes up with something every few years for gauging what the body is experiencing following a hard workout or period of training. One such tool is heart rate variability. Such breakthroughs allow us to make better-educated guesses at how much recovery may be needed following a given workout. Even with such measurement, however, it’s still imprecise. What further confounds all of this is that recovery is highly individualized. Not all recovery methods work equally well for all athletes following the same types of training sessions with similar levels of fatigue. The challenge is to figure out what works for you. The two most common and most effective are sleep and nutrition. But there are other options such as compression garments, pneumatic compression devices, massage, alternating hot-cold water emersion, and many more. There could be several things to try before finding the best for you. Even then their effectiveness may vary from one workout to the next. The solutions may be found by simply trying things. This isn’t easy because there are quite a few and some involve using special and somewhat expensive gear. They are also quite individualized. But you probably already have a great deal of experience with some of the methods. Most advanced athletes soon figure out these things as their racing careers progress. Here’s one example of the individuality of recovery. Most advanced athletes find that an easy session—called “active recovery”—stimulates recovery and therefore contributes to adaptation whereas most novice athletes and many intermediates (second and third years in their sports) find that a day off from training—“passive recovery”—is usually the better option. Connecting the dots for all of this leads to the conclusion that fatigue is good because it implies the potential for fitness, and that decreasing fatigue is an indicator of adaptation and therefore realized fitness. That’s a big deal. So the overarching lesson here is that recovery is just as critical to your success in sport as are hard workouts. If you are good at doing one but not the other you will fall well short of your potential. It takes both the stress of training and the adaptive process of recovery to be race ready. When my son had his first child in his 30s I told him he was now coming into the hardest time of life for a male (it's certainly not easy for females at this stage of life either, but in a different way, usually). You are expected to be a good father - and yet you are also expected to grow your career in order to support your family. No matter which you spend more time and energy on you're wrong. I went through that myself many years ago. From a sport perspective I think the key is goal setting. The goals must be easily within the boundaries of what you could accomplish before the family got larger. Then, assuming you don't have much time, intensity becomes the key to accomplishing those goals. So it's best to have goals that are for shorter, high-intensity races. And probably not too many of them in a season. Other than that it requires a lot of patience. It will be a long road. But a fun time in many ways that you’ll look back on later in life with a sense of accomplishment. The bottom line is that it will get easier as the kids grow up and your career rounds into shape. Good luck! Thanks for your email. I’m glad to hear that you have high goals for the sport and dreams of becoming a pro. Dreams at your age are always the starting place for anyone who eventually becomes a pro. Otherwise, there are many differences in the backgrounds of the pros. But not when it comes to their dreams. There are a few other things they mostly had in common as juniors. Most had coaches. That is the best way, without a doubt, to pursue your dream. Someone who knows the sport and can meet with you occasionally and even ride with you. You didn’t say if you had a team to train and race with. That’s another thing that was common for most of the pros when they were younger. A team can provide much of the support you need in achieving your dream. You mentioned occasionally missing workouts. It’s ok to have times when you don’t train. In fact, it’s probably healthy for you. But ultimately the key to success is consistent training. Missing workouts frequently is counterproductive and will lead to lackluster performance. But well-timed breaks from training are to be expected and good. The bottom line for achieving your dream is a good coach and a supportive team. I hope you are seeking both of these. And, in fact, they may be overlapping. If you have a team you are also likely to have a coach. I’d also suggest reading the biographies of pros from the last 40 years or so to see how they progressed as juniors and what worked for them in becoming pros. There are several such books out there on Merckx, Fignon, Lemond, Froome, Wiggins, and more. These will help with motivation while also offering suggestions on paths to take. All the best for your success. Please let me know how I can be of help. Question: Does declining max HR with age affect max performance? First, there is no research I’m aware of on exactly this topic as it relates to aging. So this is my opinion only. Something related we do have research on has to do with short-term changes in HRmax due to performance changes (Zavorsky 2000). This is, in a way, a reverse of your question. We know, for example, that as VO2max (aerobic capacity) increases HRmax decreases—as much as 7% according to some research. The more aerobically fit you become the lower your HRmax becomes. And the other side of the same coin is that as aerobic fitness declines HRmax increases. In other words, it is not a foregone conclusion that a decrease in HRmax means a decline in performance. That’s a very common but unsupported view of athletes who are ill informed about the science behind heart rate. They assume a high HR means a high level of performance. Not true. For example, I once coached a cyclist in his 60s with a HRmax in the upper 140s. He broke the US record for the 40km time trial despite his relatively low HR. But your question has to do with declines in performance related to changes in HRmax. First of all, we don’t know why HRmax changes with age. It appears to, but those studies were done almost entirely using aerobically untrained subjects. Not only had their HRmax changed but they also experienced many other changes with aging such as a loss of muscle mass. And since all the heart does during exercise is respond to the demands of the muscles (for O2 and fuel, primarily), if there's a loss of muscle power the demand will be low so the HRmax will also be low. Maybe. Again, no research. So does performance decline with age? Definitely. Exactly why that happens is open to conjecture. One of the most common explanations is a loss of VO2max power as a result of the heart’s stroke volume (blood pumped per beat) declining. Why does that happen? We don’t know for sure. Perhaps, among the many possibilities, it has to do with a change in lifestyle as we age. As a young person the athlete may have done highly intense training. But as he/she ages there is often a shift toward long, slow distance exercise with less intense training. We know that such a shift causes a reduction in stroke volume (along with decreased muscle mass—the demand thing again). So the physiological process of aging may not be the culprit at all. It may simply be lifestyle. My guess is that HRmax has nothing to do with performance. Unfortunately, that thought is totally rejected by athletes who see their heart rates as the end-all and be-all of training. That’s all they know how to measure (“for a hammer the whole world is a nail”). So it’s not a popular position to take if you want to win support for a different way of training—such as power- or pace-based training or something else. That's correct about such formulas. Research has shown the 220-age formula may be off by +11 to -11 (Robergs 2002), which makes the formula pretty much unusable. A 22-beat per minute range is gigantic. Personally, mine is off by about 33bpm. A guess would be at least as accurate—probably more so. I believe it’s far better to base zones on anaerobic/lactate threshold HR as it is much more easily determined and less dangerous to discover. It also reflects more about one’s fitness (Faude 2009) than does HRmax. How fast or powerful one is at a sustained threshold HR speaks volumes about the person’s fitness. The gap between threshold and HRmax also indicates a great deal about aerobic fitness. If you and I have the same HRmax but you achieve threshold (go anaerobic) at 85% of HRmax and I do that at 65%, you are much more aerobically fit. I’ll be suffering at 75% while you are just cruising along. That's why I believe threshold is a better metric for setting zones than is HRmax. Additionally, a true HRmax requires the motivation accompanying a gun to the head. Most people, including athletes, are unable to push themselves hard enough to see a true HRmax. It’s much too painful. They get a moderately high number after a few minutes of suffering and assume that’s it. They’re nearly always wrong as this commonly results in a much lower number than they are physiologically capable of producing under the right circumstances such as a short, all-out race or perhaps a clinical test. And not only that but it’s also dangerous to suggest to untrained people who aspire to set up HR zones that they exercise to a maximal HR. I would never suggest that. Finally, there is absolutely no reason to compare HR zones. It tells us nothing about either person as far as fitness, health, or performance is concerned. It’s like comparing shoes sizes to determine how fit people are. There is little in the way of an absolute and direct relationship between the two. Last week I received an email from an athlete who was concerned about her training for the coming year. She had wisely decided that she needed to include a rest and recovery week every third week. But she was concerned that this would reduce her volume and therefore her race performance. That caused me to look back in my blog archives to see if I had a post on this topic. I did. That blog was originally posted December 9, 2007. While that’s a long time ago, very little has changed. Her concern about decreasing volume set off a couple of alarms in my head. There’s no question that taking one’s training volume very low will have a negative effect on race readiness. (Volume is the combination of workout duration and workout frequency.) If an athlete has been training with a volume of 10 hours per week, cutting that to 5 would certainly have negative consequences. Given unique physiologies and lifestyles, every athlete has a sweetspot when it comes to weekly hours or miles or kilometers. I have no way of knowing what that may be for the athlete who contacted me. Here’s the first alarm: I’m not convinced that by reducing volume every third week that the reduction would significantly impact her race performance. I’d suggest that it may actually help performance when compared with no R&R in order to keep volume high. It’s also important to mention here that an R&R “week” doesn’t mean it has to be 7 days long. In fact, it may only be 3 to 5 days of reduced training load as 7 are seldom necessary, I’ve found. When you honestly feel like the fatigue is gone following a break from the normal training routine it’s time to start back at it again. If the fatigue is only slight coming into the R&R week and, especially, if you normally recover quite quickly, then 3 days is probably adequate. On the other hand, if you’re really tired or if you tend to recover slowly then 5 days is likely to do the trick. With a day or two of testing following the R&R break you should be ready to get back to serious training. Another alarm had to do with her emphasis on volume—with no apparent concern for intensity. Intensity wasn’t even mentioned despite the fact that reducing her training load in a R&R week also would reduce intensity. Nope, volume was her only concern. That’s quite typical. It’s rare to find an athlete, even a highly experienced one, who doesn’t also share that same worldview about the volume-intensity relationship when it comes to endurance training. They tend to believe that volume is the key to performance, in fact, the most important key. Why is that? There are a couple of reasons for this, I think. First, in the early years of an athlete’s training it soon becomes apparent that increasing volume improves performance. There’s no doubt that it does, especially at that stage of experience. That mindset stays with the athlete for years. Second, volume is easy to measure and talk about. Intensity doesn’t easily lend itself to weekly, cumulative measurement. Volume does. That doesn’t make volume more effective for race preparation, however. There are many research studies showing that intensity is at least as critical for race preparation as volume, and most found intensity is more important. You can find a list of such studies below (if you go to PubMed, copy and paste one of the references from below into the search function, you can read the abstract for yourself). A good example of this high emphasis on volume in training takes me back to a runner I coached many years ago. If I scheduled a 45-minute run on mountain trails and she got back to her car in 42 minutes she’d run laps around it for 3 minutes. That’s a quite common mindset. Most athletes see workout duration, and therefore volume, as the golden chalice. It must be achieved at all costs. So that’s what I think about volume. But what about intensity? For the purpose of this discussion I’m taking high-intensity training to mean doing workouts at race intensity or higher. If your race will take an hour or less then the average intensity will be quite high—probably near your anaerobic threshold. As the race gets longer the average intensity decreases. Road cycling, however, presents a slight contradiction to this rule. While the average intensity may not be higher than what would be common for a steadily paced event such as a running race, the bike race will typically have many brief episodes with extremely high peak intensities. Training for such a race means you must focus on these peak intensities. The race outcome will be determined by them. Also, the more your available time for training is constrained by career, family or other factors, the more important high-intensity training becomes. If you’re short on time, doing intervals will bring better results in the long term than doing short but relatively slow workouts. It just comes down to how often you do the short but hard sessions. So how relatively important are volume and intensity for the advanced athlete (“advanced” meaning more than 3 years in the sport)? I’d suggest that on race day 60% of the athlete’s race readiness is determined by the intensity of their training. The remaining 40% is a result of volume. If volume was high but intensity was neglected then I wouldn’t expect a good race performance. However, if volume was low but intensity high I’d expect a better race performance. I’d rather err on the side of too little volume than too little intensity. I should also point out here that when I'm promoting intensity as the more critical of the two variables when it comes to race performance, that doesn't mean that all of your workout intensities should be pushing your limits. There are times for high intensity and there are times for low intensity. That blend is entirely determined by your unique capacity for training. So what’s the bottom line here? I’d suggest you do as much volume as possible so long as it doesn’t interfere with your readiness to do high-intensity workouts. If a regularly scheduled long workout or an emphasis on successive moderately long workouts leaves you too tired to do a subsequent high-intensity workout then I’d suggest cutting back on the long duration or the weekly volume and allowing for more recovery between sessions. This also includes frequent R&R weeks. Whatever you do, don’t place so much emphasis on volume that you are too tired to do intense training. That’s counterproductive. I might also suggest here that the ultimate solution may be found in thinking about your training in terms of Training Stress Score—the combination of duration and intensity into a single number. It will change your training mindset for the better. Costill, D.L., et al. 1991. Adaptations to swimming training: Influence of training volume. Med Sci Sports Exerc 23:371-377. Gomes, P.S. and Y. Bhambhaniy. 1996. Time course changes and dissociation in VO2max at maximum and submaximum exercise levels as a result of training in males. Med Sci Sports Exerc 28(5):S81. Fry, R.W., et al. 1992. Periodisation of training stress–a review. Can J Sport Sci 17:234-240. Laursen, P.B. and D.G. Jenkins. 2002. The scientific basis for high-intensity interval training: Optimizing training programmes and maximising performance in highly training endurance athletes. Sports Med 32(1):53-73. Lehmann, M., et al. 1996. Unaccustomed high-mileage vs intensity training-related changes in performance and serum amino acid levels. Int J Sports Med 17(3):187-192. Midgley, A.W., et al. 2006. Is there an optimal training intensity for enhancing the maximal oxygen uptake of distance runners? : Empirical research findings, current opinions, physiological rationale and practical recommendations. Sports Med 36(2):117-132. Mujika, I., et al. 1995. Effects of training on performance in competitive swimming. Can J Appl Physiol 20(4):395-406. Seiler, S., et al. 2009. Intervals, thresholds, and long slow distance: The role of intensity and duration in endurance training. Sportsci 13:32-53. 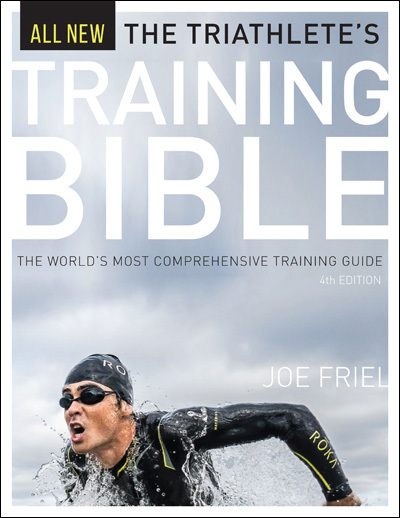 I have been training for triathlon since 2010 and I use the concepts of your book for planning my annual and weekly training. I have a fundamental question about that. I'm an executive and usually travel internationally at least once every two months. When it happens, I try to keep up my training at a hotel gym, but it's definitely not the same. The consequence is that it's difficult to keep the training as it is planned especially if it coincides with a high volume training week. Any suggestions? I understand your dilemma. I also travel quite a bit. I’m currently in the UK for 2 weeks and just returned from 3 weeks in E Europe. I’m gone, on average, about a week in every month. So I miss a fourth of my training. It isn’t so bad for running and swimming - usually. But cycling is nearly impossible during such trips. I’m sure you can relate to that. I’ve had to give up racing in the last three years mostly because of this. Before the last three years my travel was much less than one week per month on average. Then I was able to keep my training going ok if I tried to work everything - travel timing and training periodization - out well in advance of trips. The idea was to arrange it so that the travel time coincided with a recovery week. That worked usually pretty well. But not always. There really is no simple solution for my current level of travel when it comes to race prep. Missed workouts can’t simply be “made up.” Inconsistent training has a greater impact on performance than any other training errors one can make. I’m sorry to tell you that there is no easy solution. About all you can do is 1) try to make travel weeks coincide with rest weeks, 2) do as much as you can before leaving on the trip, 3) do all you can when on the road, and 4) get right back to it as soon as you return home. 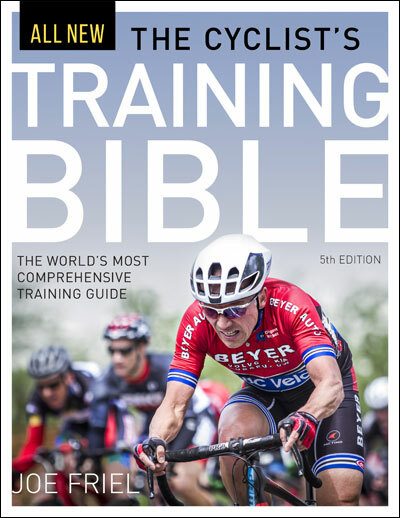 “Crash” training, which you can read about in my Training Bible, may prove helpful for #2. This post from some time back may also prove helpful.